Garba Shehu, senior special to the president on media and publicity, has given an indication that Vice-President Yemi Osinbajo will run on the same ticket with President Muhammadu Buhari in 2019. Shehu said this while fielding questions from state house correspondents on Monday. He was reacting to the string of victories recorded by the ruling All Progressive Congress (APC) during the weekend’s bye elections in the country. “Decisive victories in senatorial and state assembly elections in Katsina, Bauchi and Kogi states were an indication that the Buhari/Osinbajo presidential ticket that won the 2015 election will ensure an encore in 2019,” he said. The presidential media aide said the victory in those states shows that the ruling party is still popular and that Nigerians have just endorsed Buhari/Osinbajo joint ticket. “I like to speak to you about the fabulous shows of the APC in Katsina, Bauchi and Kogi, and even to some extent in Cross River States. All of these coming against the background of Ekiti state,” he said. “It is clear that from election after election, Nigerians are reposing confidence in the Buhari/Osinbajo presidency. Each of these election victories is considered to be epic in nature because none of these elections was an ordinary election. We are happy that we have won and on behalf of the president and the acting president, we like to say thank you to Nigerians who continue to repose their confidence in the leadership of the APC administration. 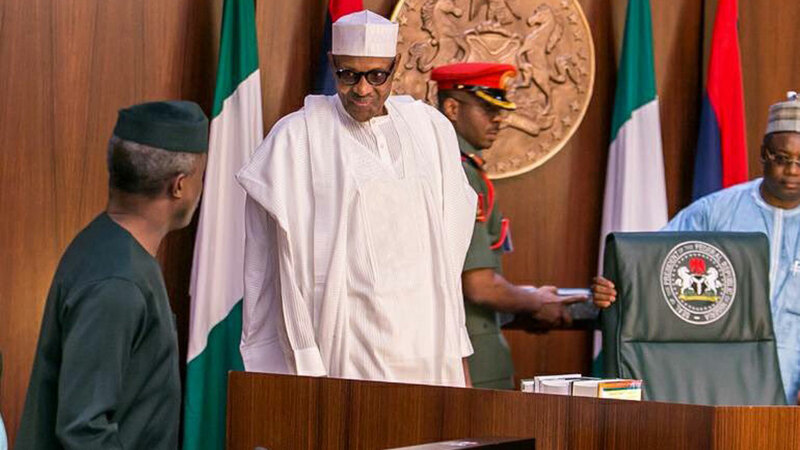 “So, we are expressing our gratitude to everyone for these that had happened and to say that with this increasing confidence reposed in the president and the acting president, who are determined more than ever before to leave no stone unturned in order to bring the promised change to Nigerians. “First of all is to say that these decisive victories are indications that clearly, Nigerians have spoken that President Buhari maintains his momentum. That these victories place Buhari/Osinbajo presidency in very good stead for next year’s election.